Despite being named in Americas Top 10 Dying Industries in 2011, post-production still very much has its place in the UK. But it is changing. And fast. With increasingly commoditized and affordable technology allowing pretty much anyone (within reason) to do post-production, the lines between production and post continue to blur. At the same time, as workflows change and TV folk seek out new ways of being ever more creative, the traditional model of using a large hardware-filled facility resplendent with armies of permanent staff and vast picture and sound suites is no longer suited to the budget or creative taste of every client (or every post company owner for that matter). Of course, the technical expertise required for certain types of shows and for QC, audio finishing, media management and programme delivery means that the post facility will be with us for many years to come but some parts of the chain, notably a number of the craft elements, are evolving with new ways of working emerging. One of these is what you might call remote working. Its not so much the euphemistic working from home (although that is relevant) but rather members of the production team using technology to allow them to dovetail on a project in locations that are removed from the media, the suite, the facility or each other: be it on the other side of the world or down the corridor. Let me give you an example. 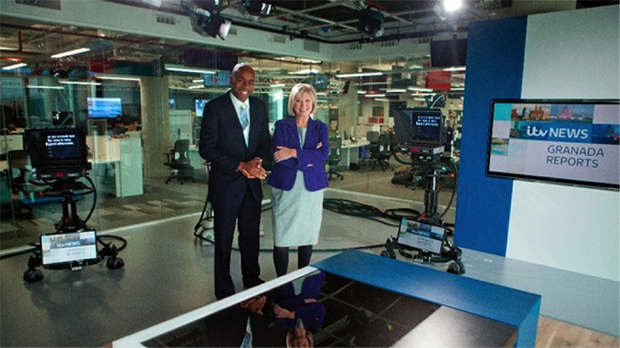 When ITVs northern operation moved from Quay Street in Manchester to MediaCityUK in Salford , the broadcasters in-house post facility adopted a more elegant and flexible way of working based around the mantra of work wherever, whenever. The key to this, according to technical manager Taig McNab, was unlocking the space from the task. So, working with systems integrators Root6, they came up with an infrastructure that allowed any technology to be used in any suite or room. Why do you have to edit in an edit suite? asked McNab. Why cant you edit in a meeting room if you want to? That drove quite a lot of the infrastructure decisions. The secret ingredient was Amulet Hotkeys zero client, a KVM (Keyboard, Video and Mouse) technology that allows a user to access and use any of the hardware and software in the machine room from a single interface at their desk. Originally adopted by the financial community, it enables users to access multiple systems from a single interface over a network connection without operators and, more importantly, the operating system or application being aware that it is being used from afar. Clearly you cannot do a grading session in the canteen, says McNab but, where it is appropriate, staff can work where they feel most comfortable and feel most productive. This type of post-production flexibility can go way beyond the walls of a facility too. Cloud-based video management and collaboration platforms such as Mediasilo are allowing members of the production team to access footage from anywhere and use this as the basis for their work. For Manchester-based drama indie Red Production Company for example, this technology has allowed audio tracklayers to work from home. I think that is going to change again in the next few years and enable picture editors to be able to work from home for at least some of the periods of the post-production cycle, explains executive producer Tom Sherry. [It could also open] new doors for us to work with international editors and attract international directors who could do some post at home. Aframe - the omnipresent cloud platform for collecting, managing and storing video - also allows for this work anywhere-style sharing and reviewing workflow but also adds some editing options too. Via its Edit Flow feature users can export their timecode-specific metadata out of Aframe and directly into Avid Media Composer, Apple Final Cut Pro or Adobe Premiere. Once there, the metadata relinks with the original media retaining all user changes automatically. Remote editing is also possible using Adobe Anywhere and Avids Interplay Sphere. Requiring only a NewsCutter or Media Composer license and an Internet connection to an Interplay Production workgroup, Interplay Sphere connects multiple remote editors at the same time, allowing them to combine locally shot footage with material on the Interplay Production system. Ideal for news production, it uses proxies when faster speeds are required. Adobe Anywhere, on the other hand, relies on centralized clustered storage and allows a remote editing station to access Premiere projects over a LAN or VPN with the media streamed to the workstation or laptop using the Mercury Streaming Engine, an innovation that negates the need for proxies by adapting resolution to match the available bandwidth. Quantels QTube is another consideration, especially for news, enabling content creators, administrators and managers to interact with their content wherever they are and wherever their content is located. At the slightly less expensive end of the scale, Forbidden Technologies long-established FORscene offers the ability to log, edit, review and publish content via any Internet connection. Picture editing and audio track laying are not the only disciplines that can be done remotely. Grading anywhere is also possible. Yes, it can be a standalone process with the colorist working independently. Or, if the project is being graded on Blackmagic Designs Da Vinci Resolve, clients can watch a grade in real-time while the colour correction is happening in a completely different location. 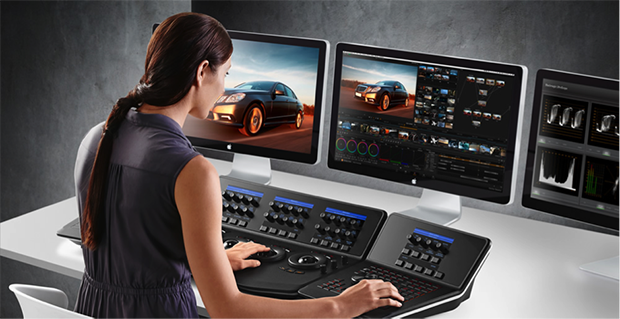 To do this, two DaVinci Resolve systems with identical material are synchronized over the web and all changes made by the colourists system are sent across in near-as-damn-it real-time and applied on the other. Skype can then be used to chat about the project as if both people were in the same room. Various UK facilities including The Mill, MPC and The Look offer this and other similar types of service with the latter also teaming up with Sumners in Salford to offer grading at MediaCityUK. With the client doing the prep and the footage upload, The Looks managing director and senior colourist Thomas Urbye points to the potential cost and quality savings that are possible working this way. A lot of production companies either use their in-house editors or a freelance colourist on a day rate, he says. These are often not dedicated colourists and the results are not as good as you get from one of the colourists here at The Look. Freelancers are usually booked on a day rate, and this can be complicated if your client makes changes to the edit as the grade can be delayed and freelancers can bill for these last minute re-bookings we can work by the hour. Remote, flexible working doesnt suit everyone or every production. But as post-production continues to evolve - and the industry become increasingly mobile and global - it is one of the options that will almost certainly become commonplace.